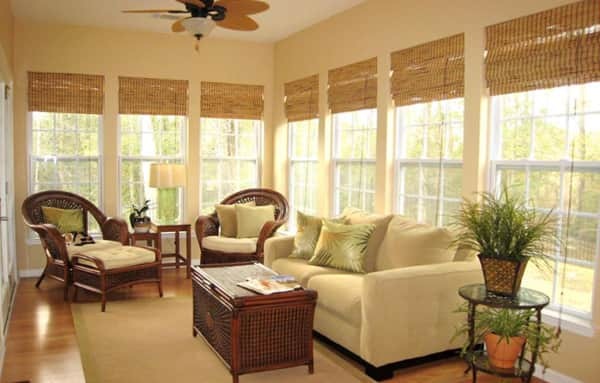 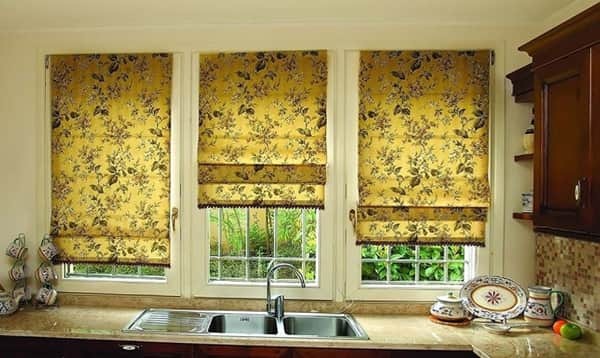 Roller curtains are at the peak of their popularity, mainly because they look great on any type of windows. 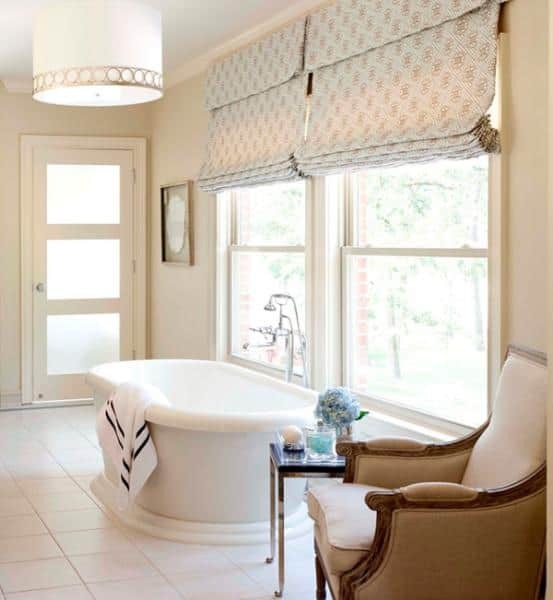 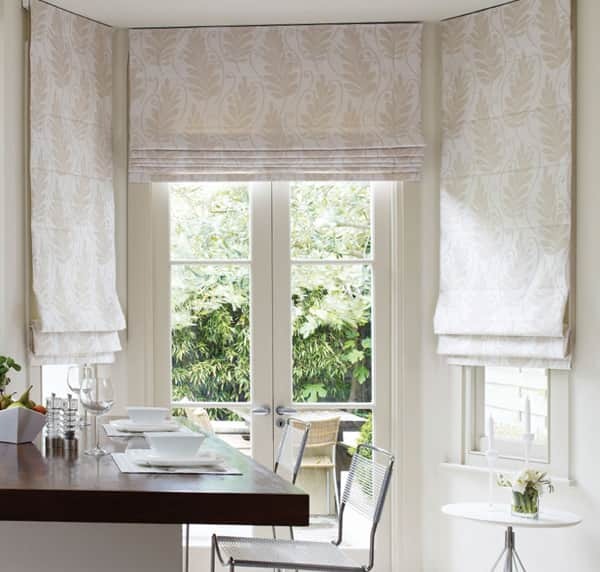 This article will tell you what to look for when choosing curtain blinds, as well as demonstrate the use of this type of curtains in the interiors of different rooms! 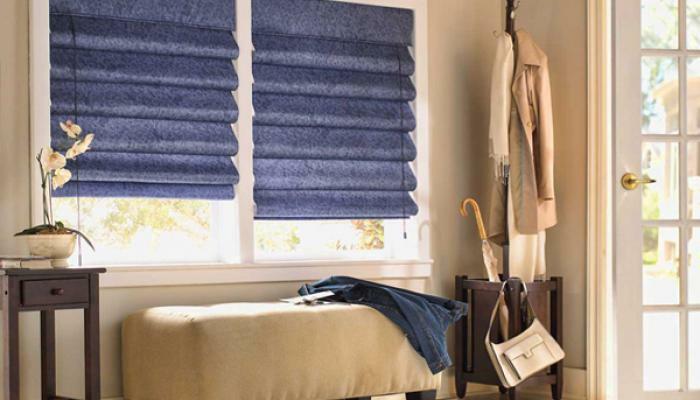 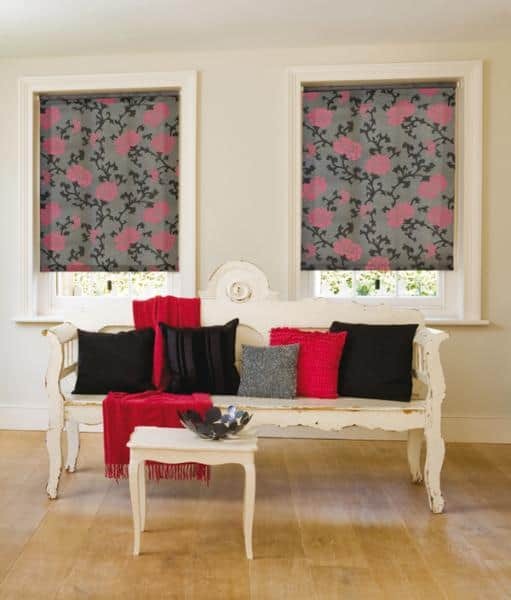 Roller blinds: What material to choose? 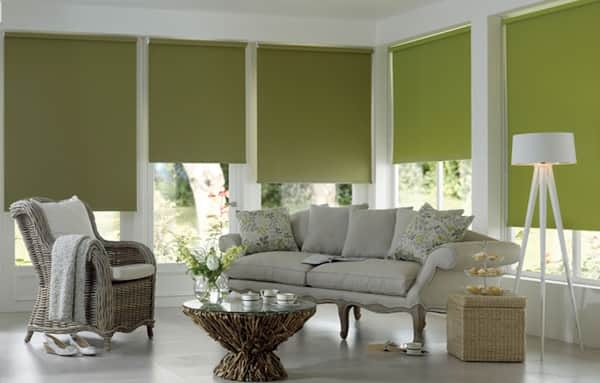 Roller blinds, which have been in use for more than three hundred years, are only now experiencing a peak in popularity. 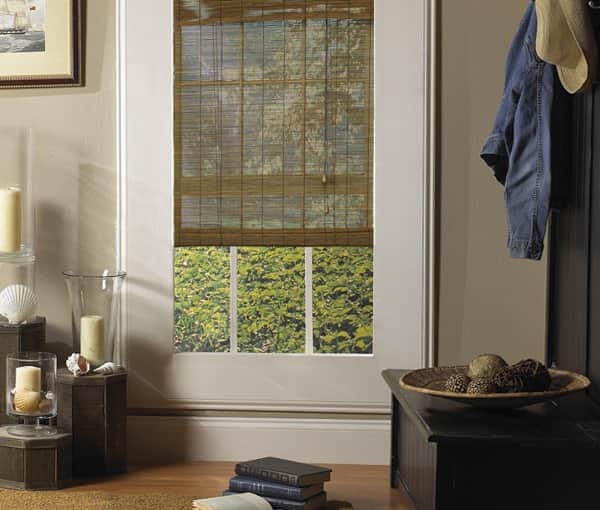 Dense canvases in the living room or bedroom will help you get enough sleep without interference from exterior lighting such as that witnessed during dawn. 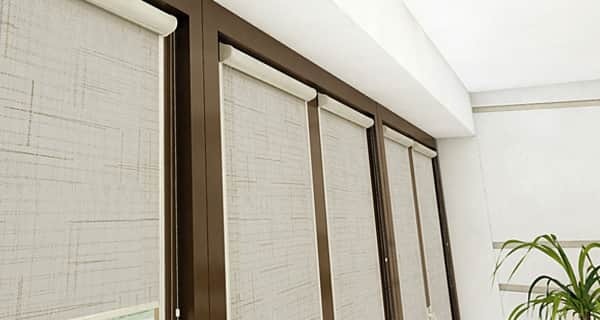 On the other hand, light translucent curtains in the kitchen will dissipate the soft light from street lamps, partly lighting up the corridor. 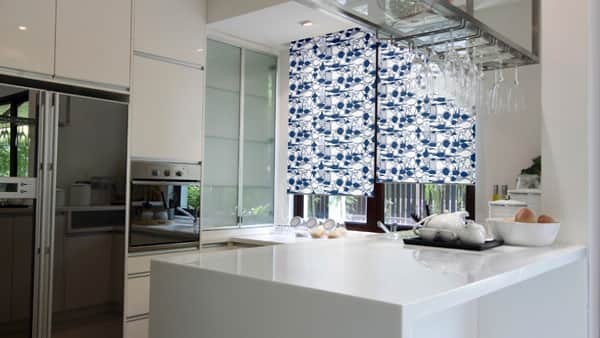 An overwhelming majority of roller blinds are made from fabrics, but, taking into account the fashion trends of recent years, many roller blinds are oriented towards sparking a connection with nature and achieving eco-interiors, through natural materials like wood and bamboo. 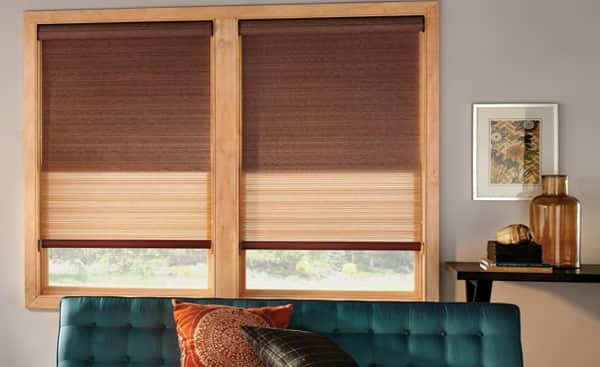 If you are not too constrained financially and you want to add more color and coziness to the room, then roller blinds made from wood will easily help you to achieve this goal. 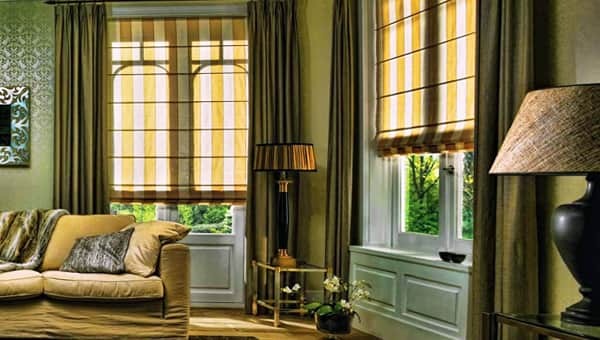 The natural texture of curtains made from wood creates aesthetic pleasure, whereas the moisture resistance achieved through treatment of wood with special solutions, coupled with their immunity to direct sunlight brings undoubted practical advantages. 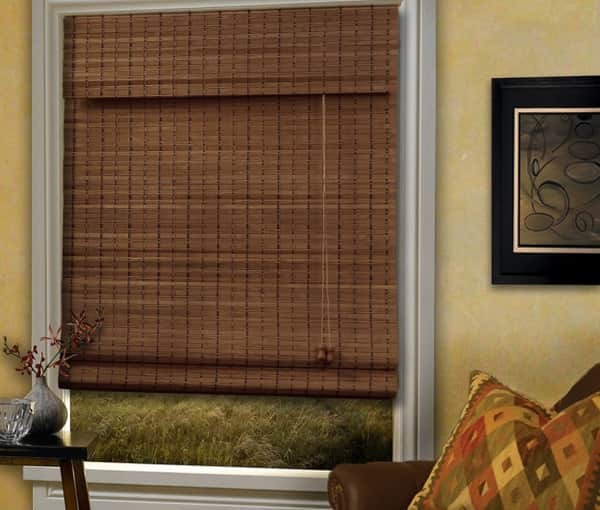 When choosing wooden blinds, pay attention to the type of wood used. 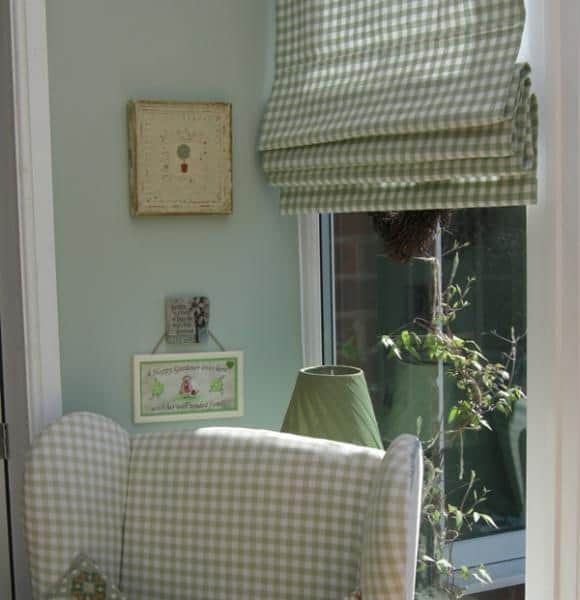 Some types are less durable and need to be treated with more care than curtains from other breeds! 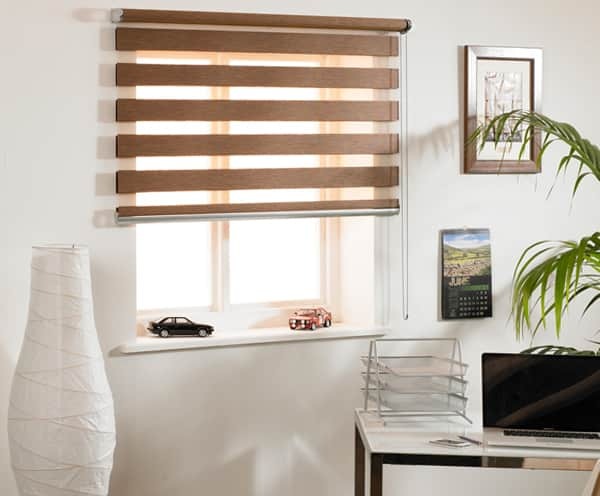 We recommend buying wooden blinds from certified building hypermarkets in order to protect yourself with a warranty that enables you to exchange or return defective blinds if necessary (which is difficult to achieve by making purchases from online stores). 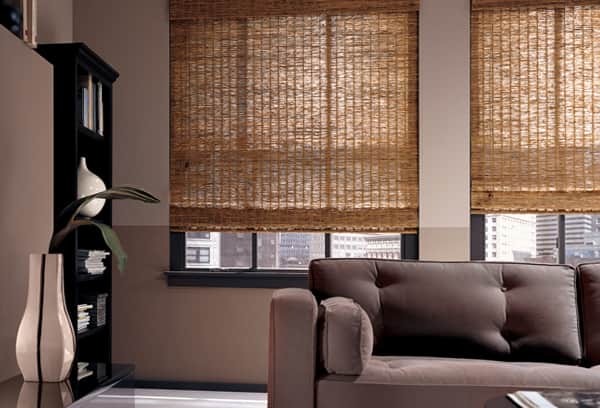 Roller blinds made from bamboo are an indispensable component in interiors in the style of “ethnics”. 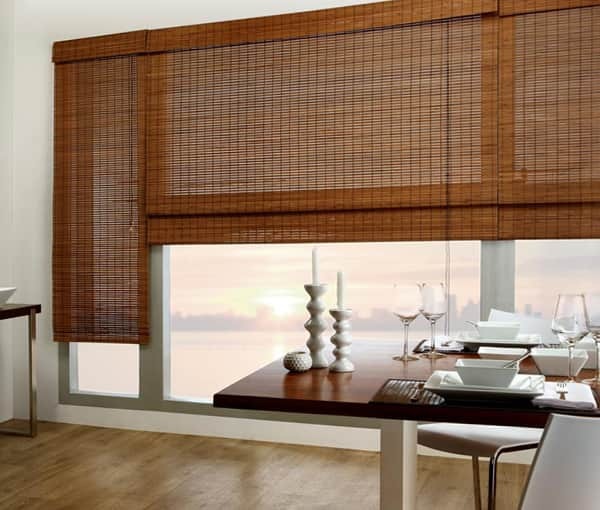 Along with wood, bamboo is incredibly popular now, as an element in the decoration of walls, and as a material in the manufacture of curtains. 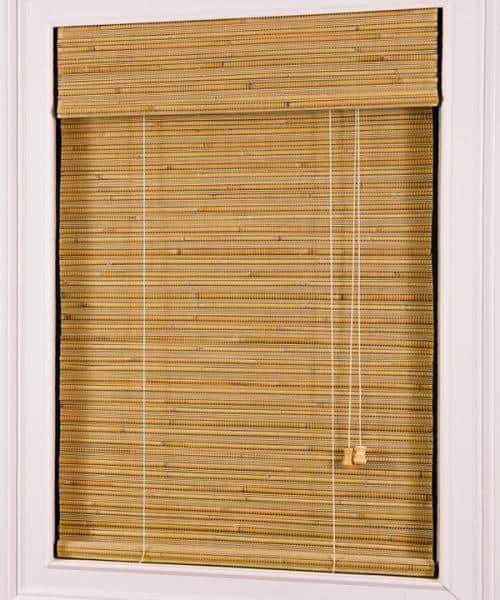 The design of curtains made of bamboo is very simple: strips of bamboo or straw are fastened together by strong threads, making a single cloth. 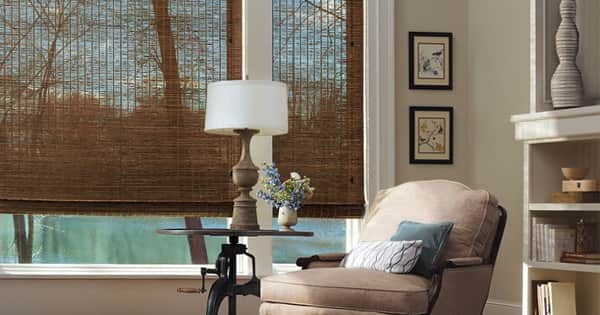 The ability to fit in the interior of almost any style. 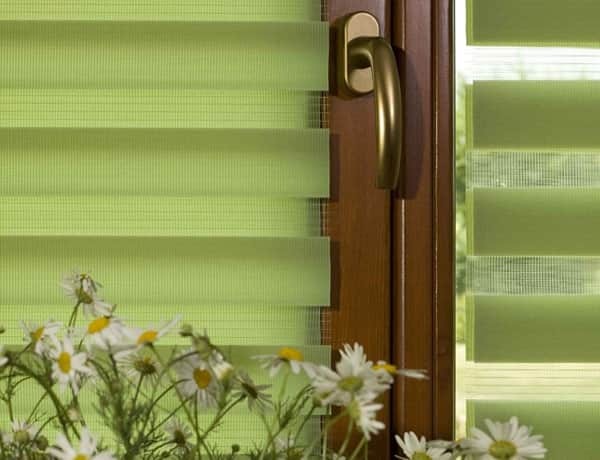 The naturalness of the material directly affects the cost. 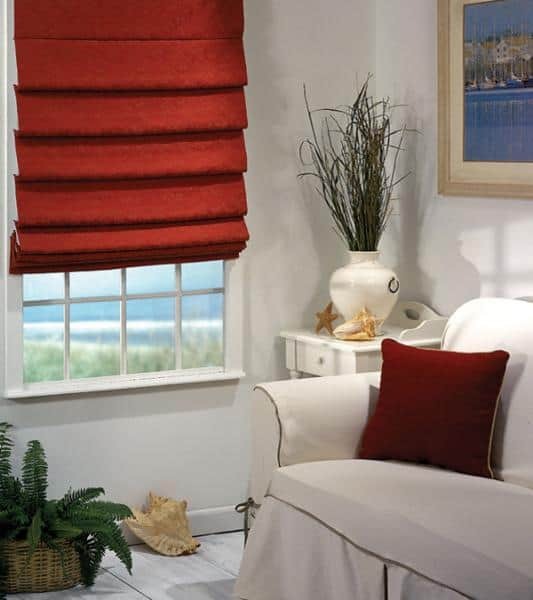 Fabric curtains provide the widest choice of lighting possibilities for rooms of different types. 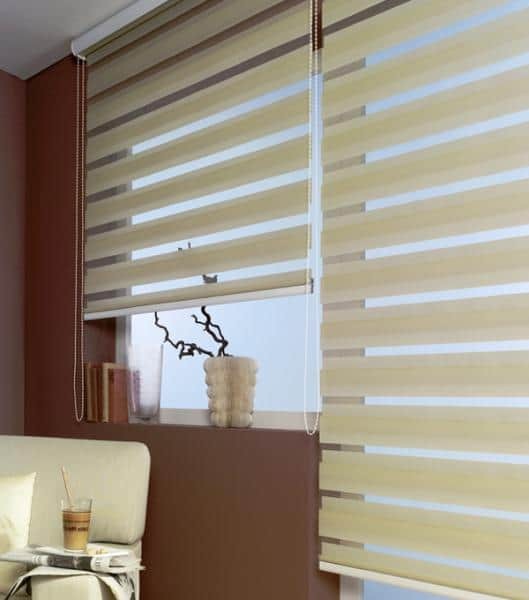 You can choose reflective or light-diffusing fabrics, universal variant “day-night”, dense or light translucent fabrics. 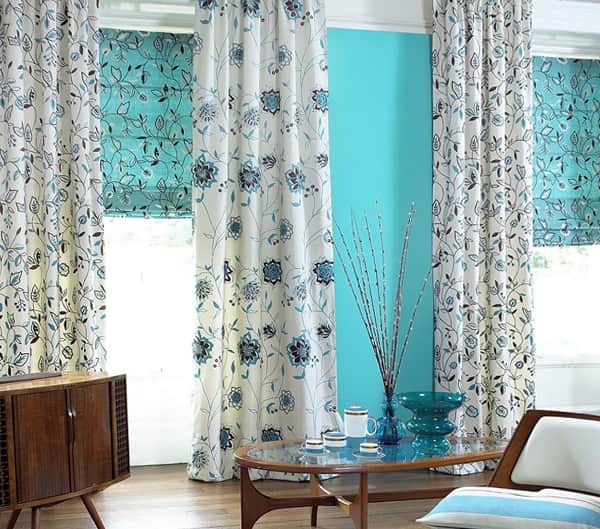 The advantages of fabric curtains lie in the variety of existing colors and textures, which certainly make it easy to find curtains for unique interiors – from the strict classics to hi-tech futuristic designs. 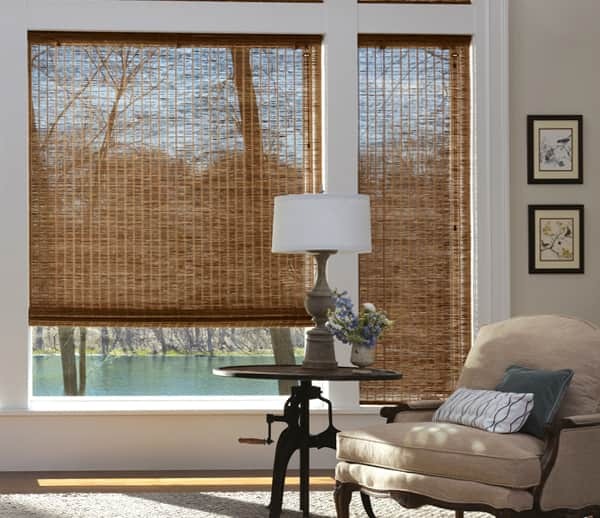 And, of course, it’s hard not to mention another pleasant advantage – the cost of fabric curtains is much lower than wooden and bamboo analogs. 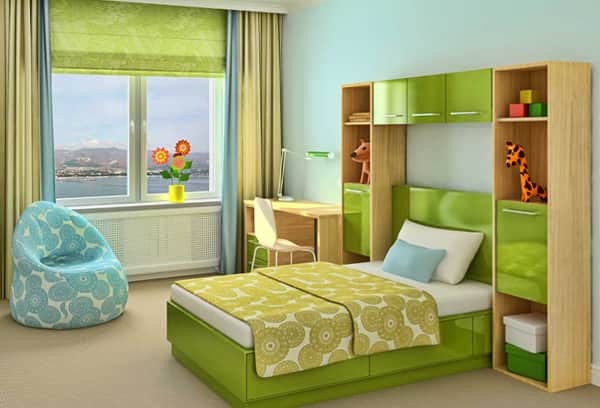 You can easily prove this fact by comparing prices in outlets such as “Leroy Merlin” or “Ikea”. 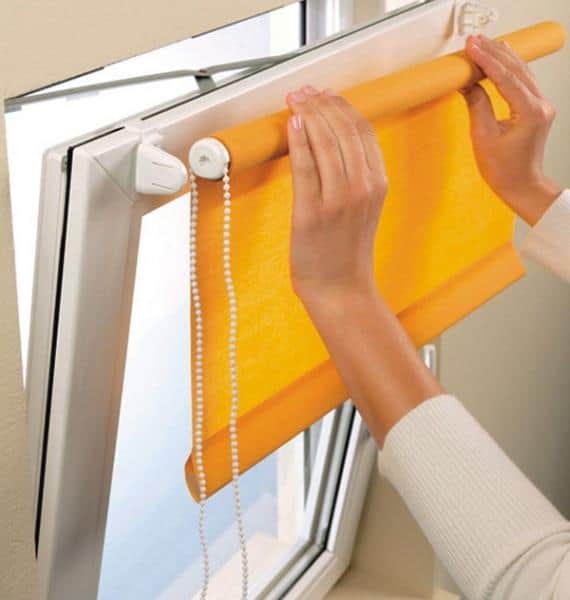 This type of attachment allows you to fix the curtains in both the window opening and above it. 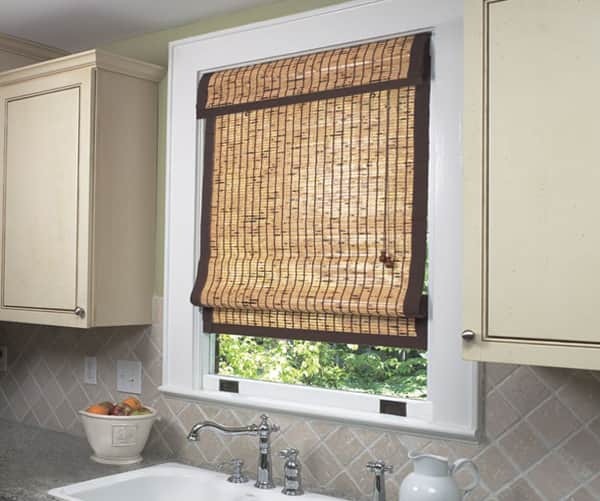 Most often, this design is installed on plastic windows, but, of course, its use is possible in other cases. 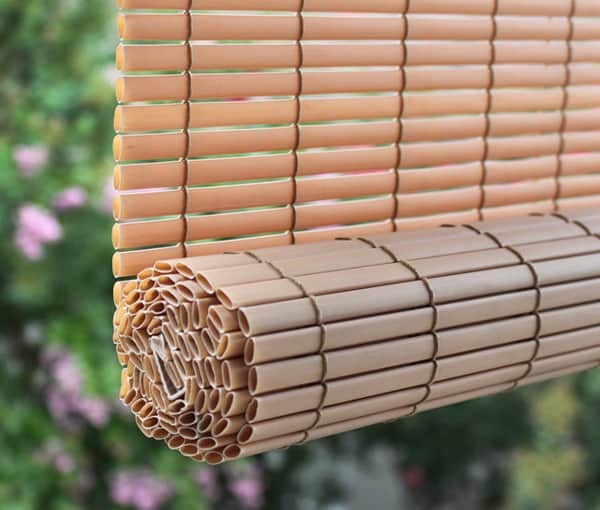 The principle of the structure and its underlying mechanism is as follows: Between the two holders a special shaft is attached, onto which the winding of the curtain occurs. 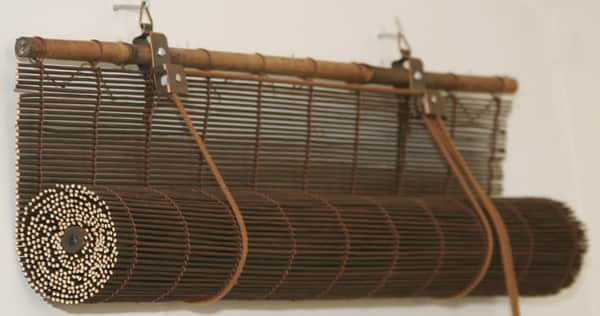 Control is by means of a chain or spring mechanism. 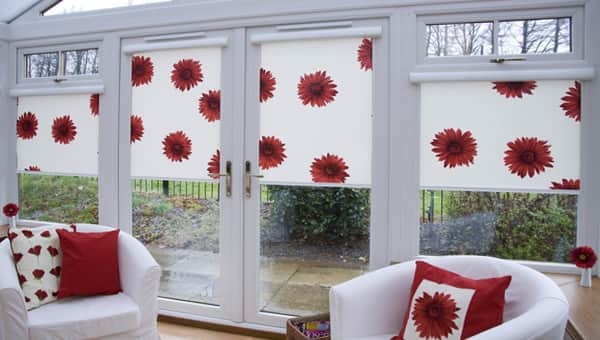 Until recently, it was believed that roller blinds with a closed type of fastening can only be used on plastic windows, but in reality there are no restrictions on their use. 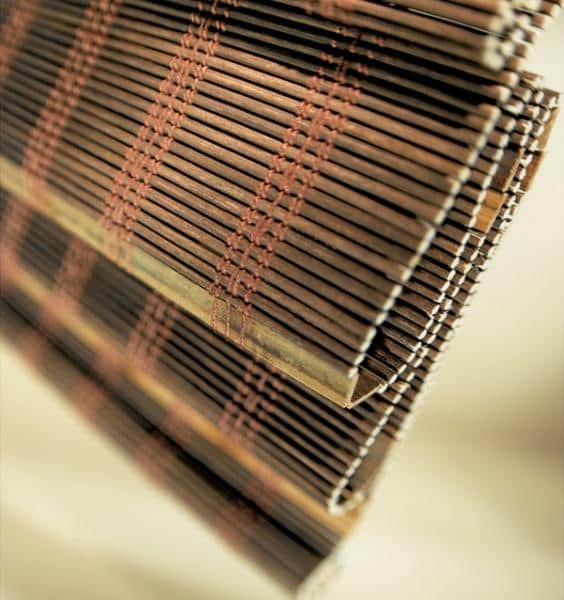 The difference between this type of attachment and the open one lies in the presence of a box or cassette (therefore this type is often called a cassette type). 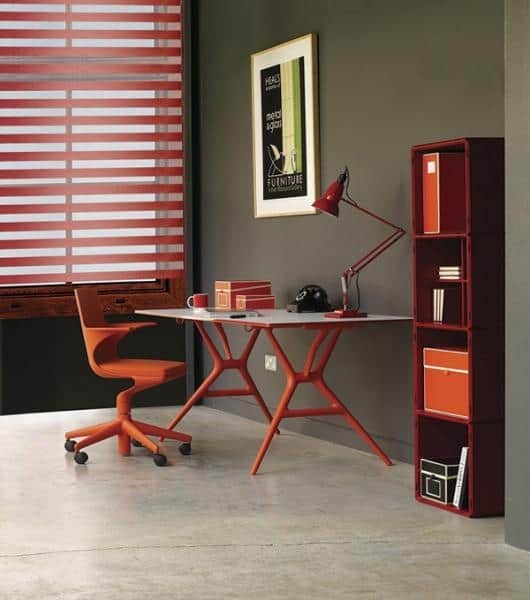 Uni Besta (Uni) – Like all closed systems, this has a box, as well as lateral guides. 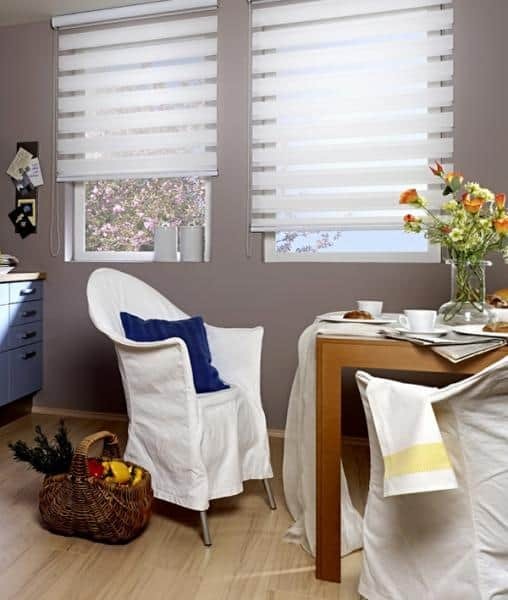 It is used for the depth of a glazing bead window of more than 12 mm. 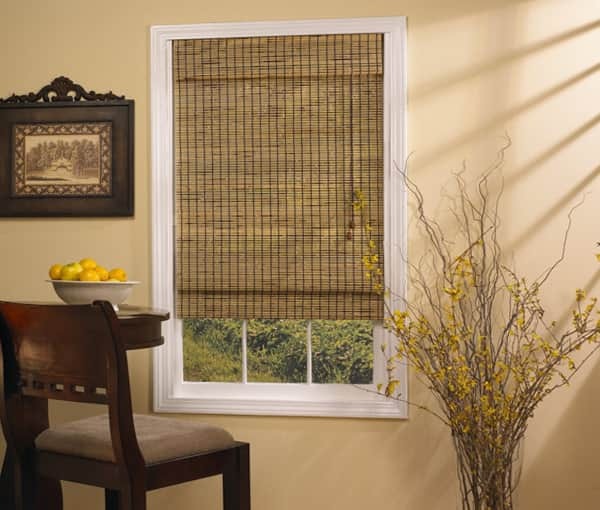 When moving, the fabric smoothly slides between the guides, which are closely adjacent to the window, and the glass. 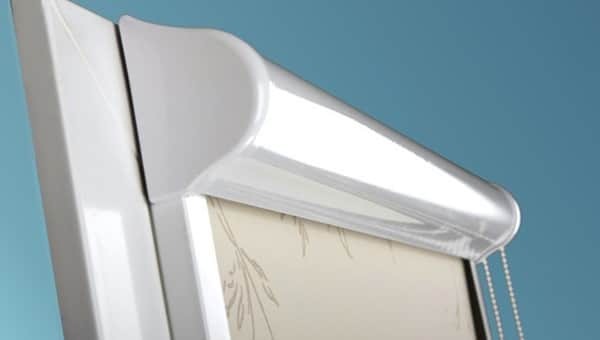 Profil (De Luxe) – Used for windows with a depth of bead of less than 12 mm. 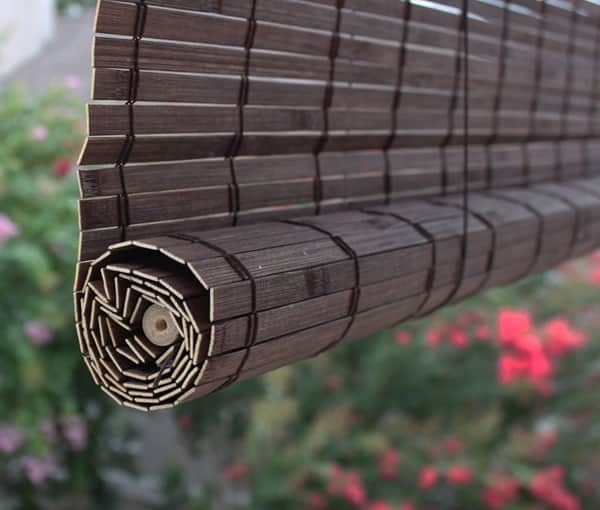 The guides are not lateral, but U-shaped, which ensures the movement of the fabric in the guides themselves. 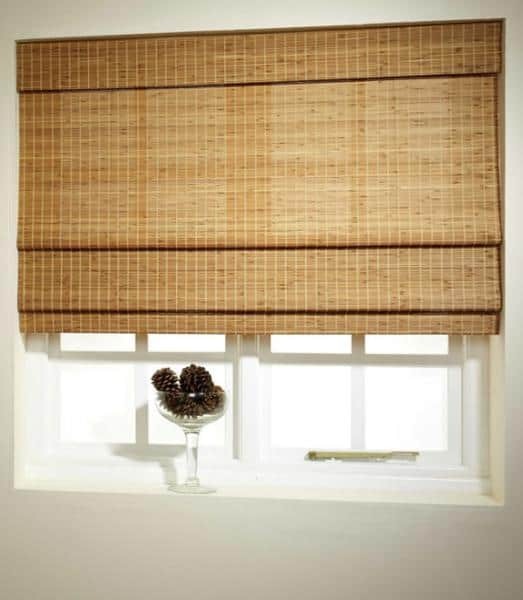 This system is more convex externally. 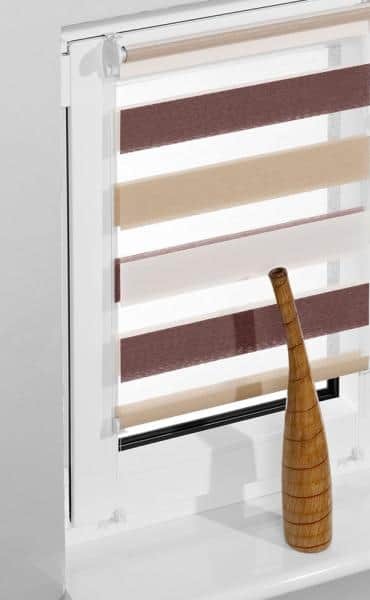 Bamar – Like the Profil system, it has U-shaped guides and, thanks to its design, is suitable for large apertures and wide windows. 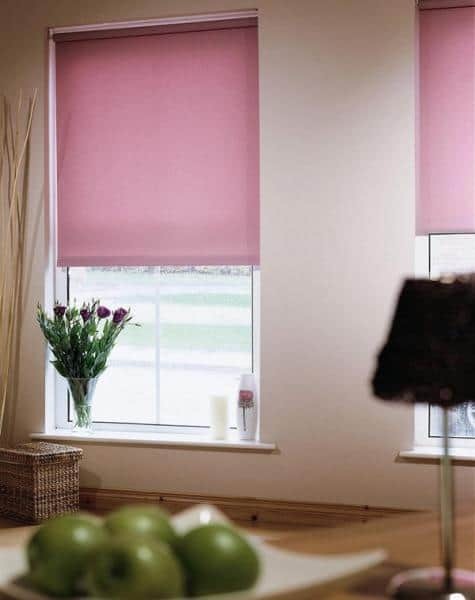 Roller blind control with this type of attachment is carried out by a chain, spring or electric motor. 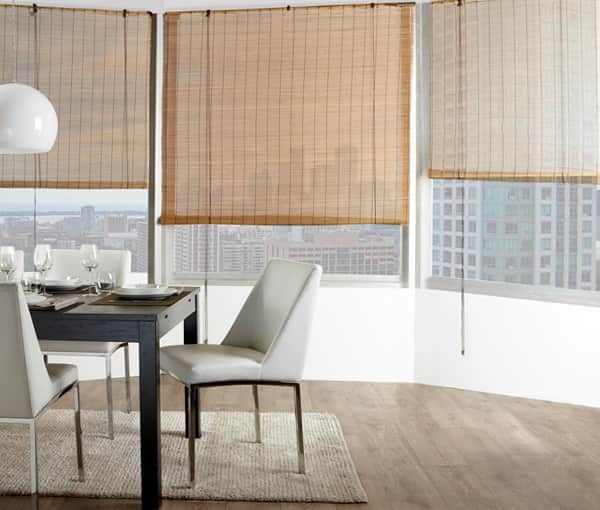 As the name implies, this category of roller blinds is made of materials capable of scattering sunlight penetrating through the windows into your house. 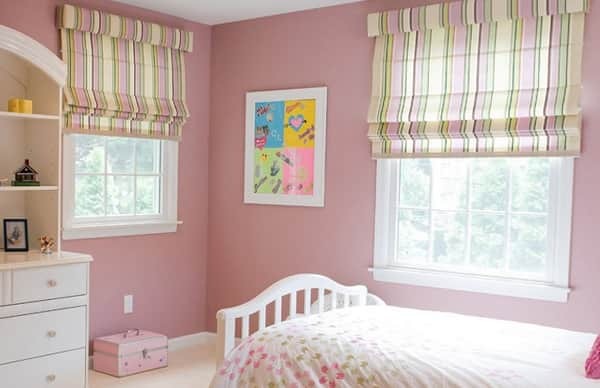 When the utilization of such curtains is purely for decorative purposes and in such premises as bedrooms or nurseries, they should be used in tandem with dense curtains. 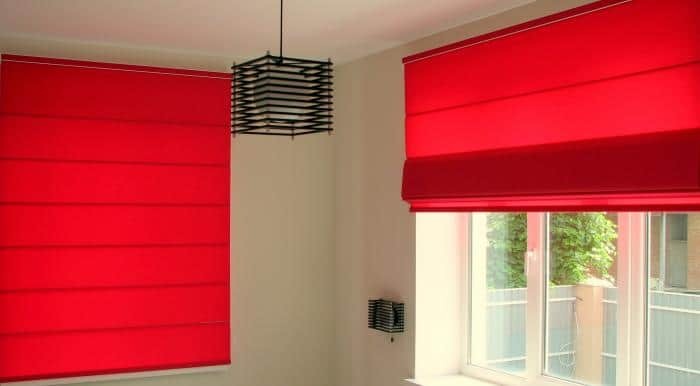 It is necessary to be able to isolate yourself from obsessive sunlight during rest periods, since light-scattering curtains are created for completely opposite purposes! 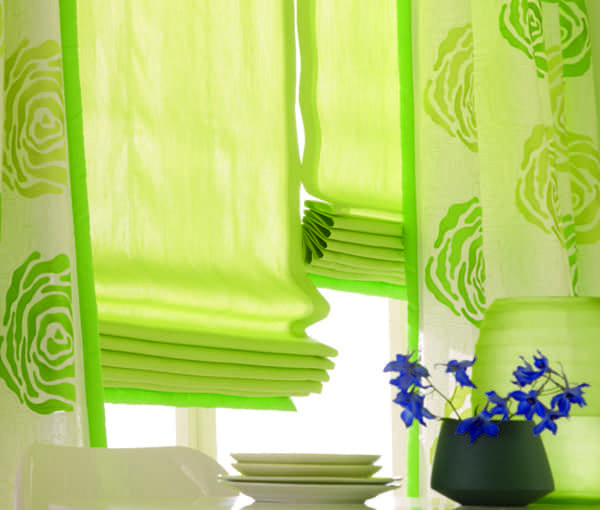 The complete opposite of light-scattering curtains are reflective, or light-tight curtains. 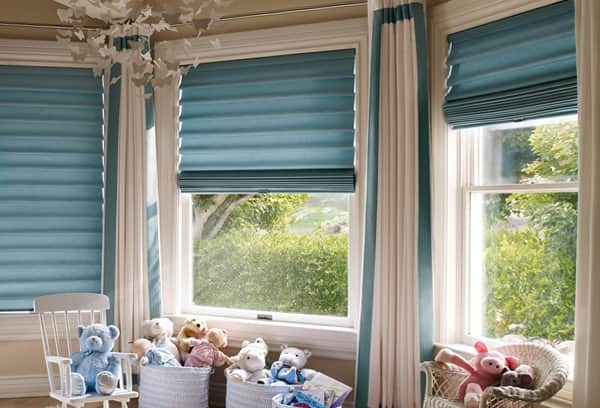 They completely block the flow of sunlight into the room, and therefore perfectly fit into the interior of the nursery or bedroom, where silence, darkness and peace are needed for proper rest. 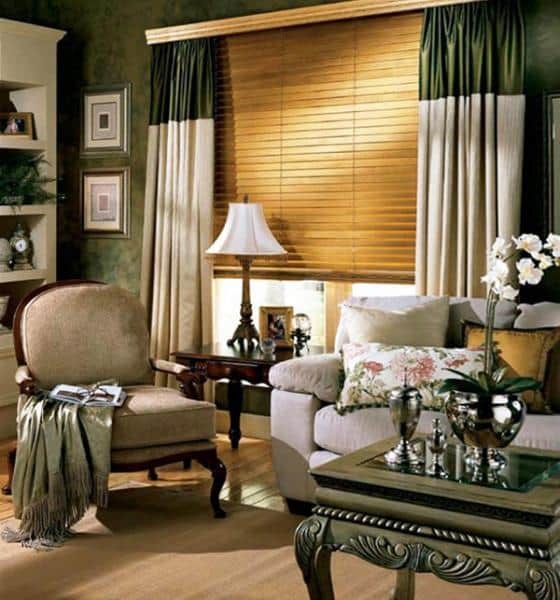 To illuminate the room, they must be lifted, revealing the view of the room to other people’s eyes, which may well be considered a disadvantage. 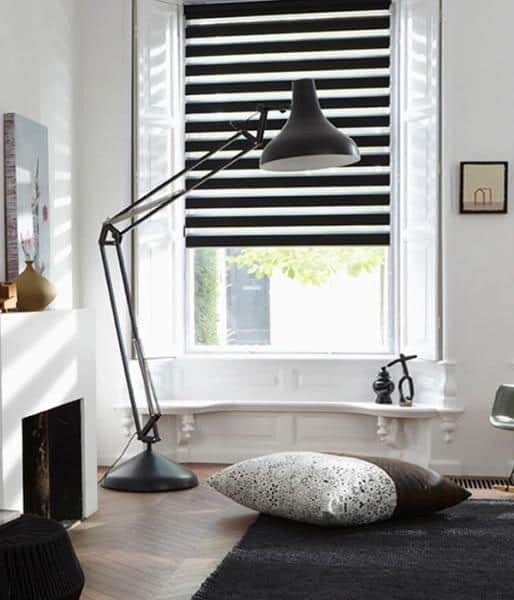 Both light-scattering and reflective roller blinds are an uncompromising choice that allows you to either always be in a fully lit room or always darken it. 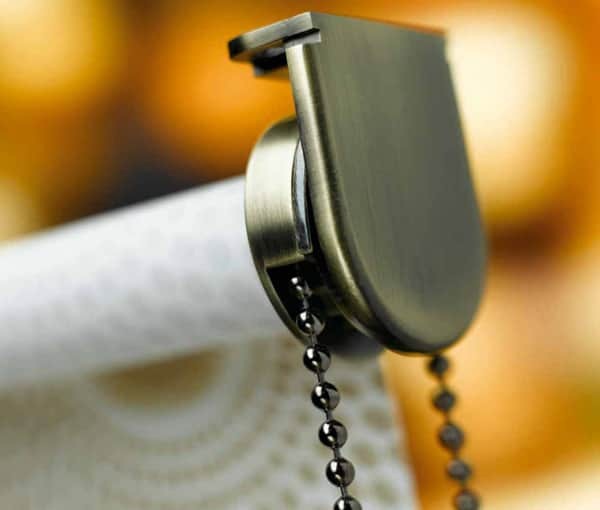 There is no in-between. 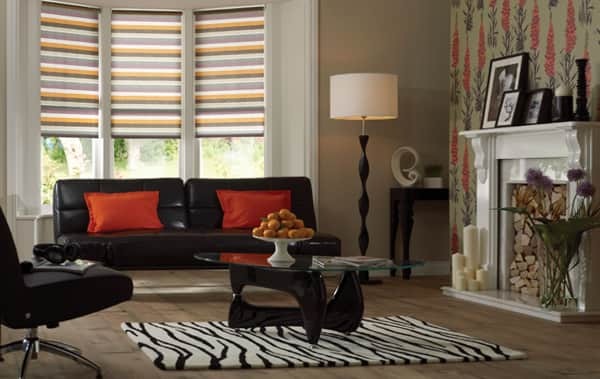 Naturally, many would like to find a compromise solution that allows them to regulate the light flux, and it exists in the form of “day-night” or “zebra” roller blinds. 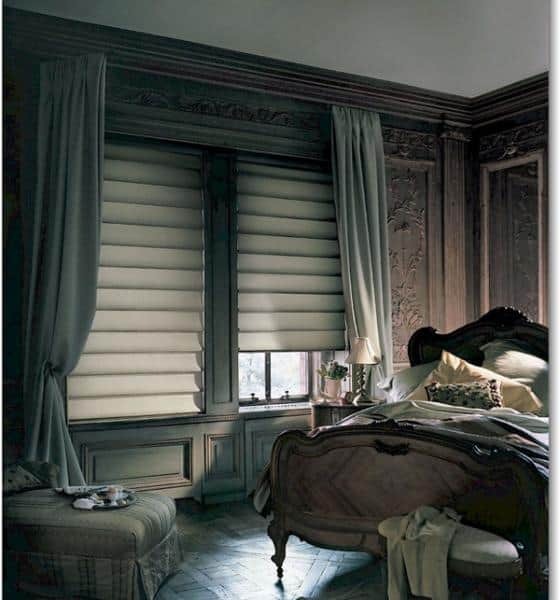 “Day-night” curtains are a cloth with strips of translucent fabric as well as dense strips of fabric, fixed in two layers. 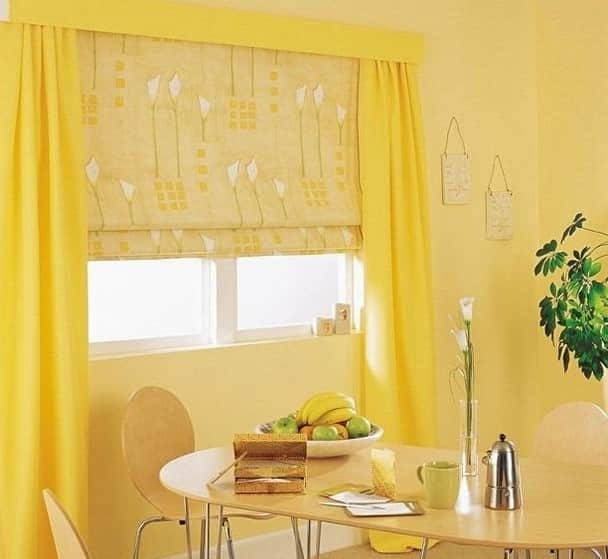 If you wish to allow more light into the room, you can adjust the curtains so that the translucent strips of one layer overlap the translucent bands of the second layer. 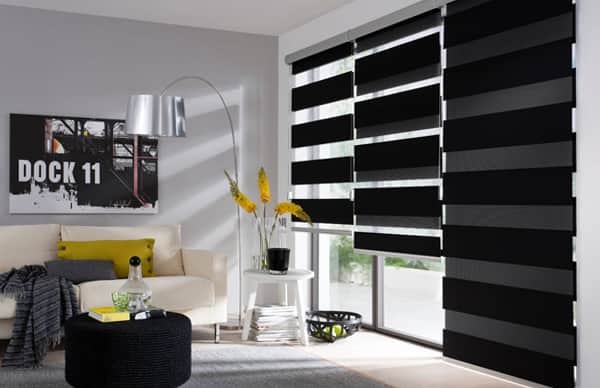 And if you want to darken the room, you need to make sure that the stripes of dense fabric overlap the translucent stripes of the other layer. 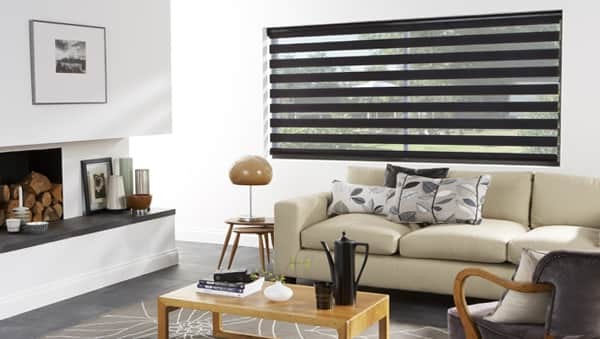 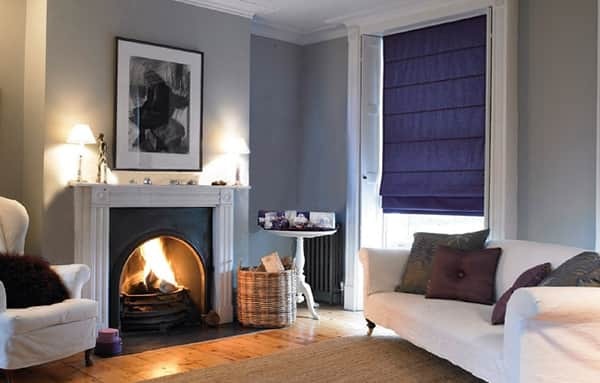 Roller blinds in your living room: Set the tone! 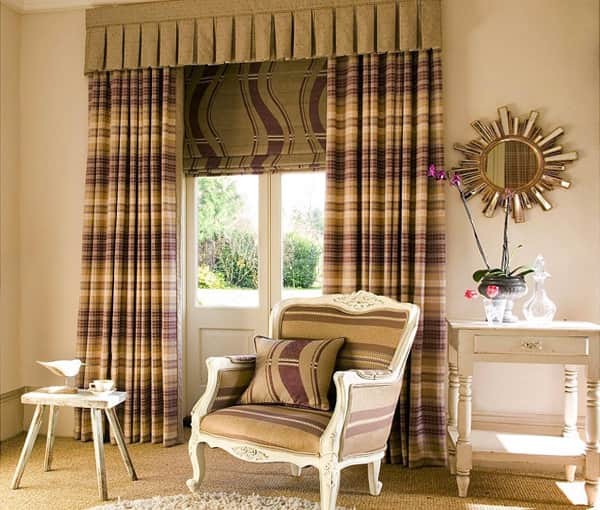 Having dealt with materials, types of fastenings and types of roller blinds, it’s time to decide which curtains will best suit various rooms of the house. 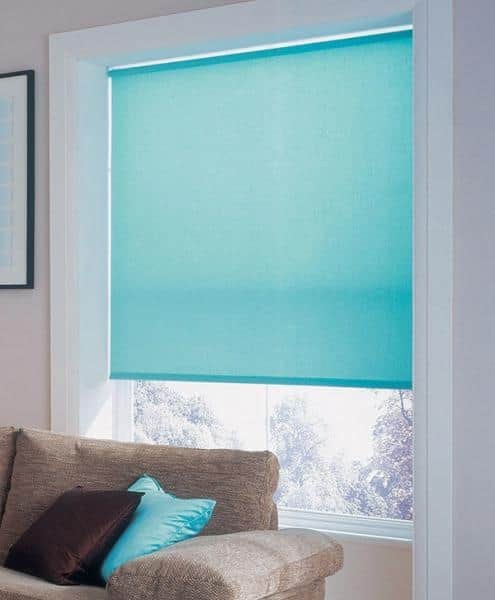 For the living room, roller blinds such as “day-night”, which allow for the regulation of the level of natural lighting of the room, are perfect. 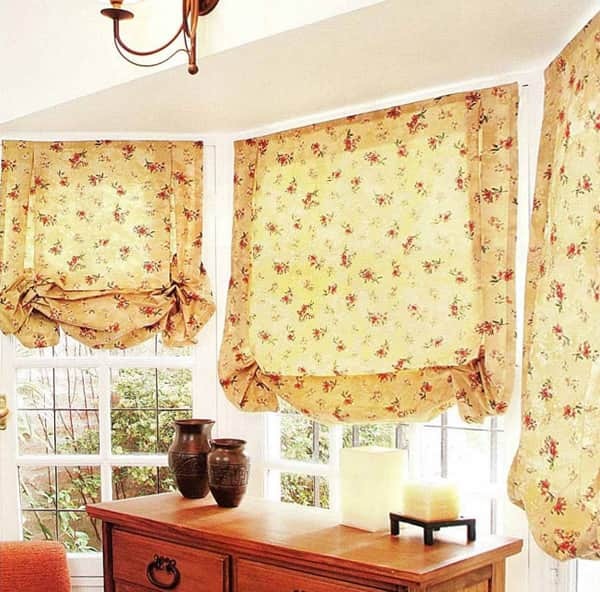 Another compromise solution can be curtains from a not too dense fabric that scatters light partially. 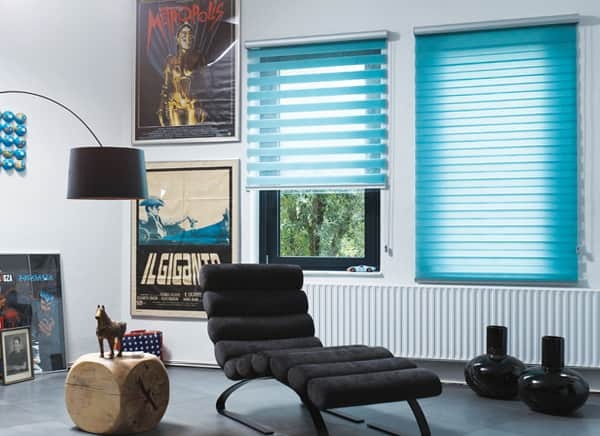 Just keep in mind the art of combining – roller blinds can easily be combined with dense curtains, thereby creating the opportunity to fit them into the interior of any style! 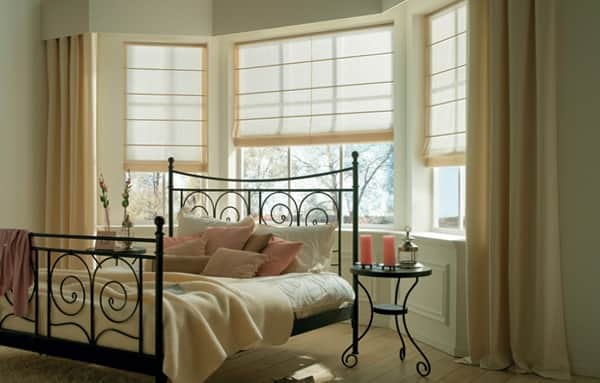 Much has been said about the fact that the bedroom is the most intimate, you can say, sacred place within your home or apartment. 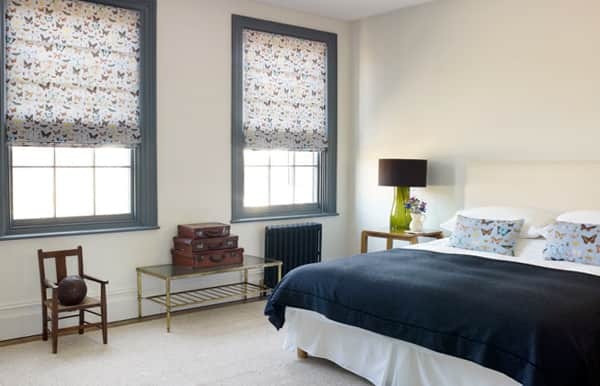 In the bedroom, you relax from the hustle and bustle of the working day and retire with your loved ones, so the dimness and privacy from other people’s eyes is what you need in this room! 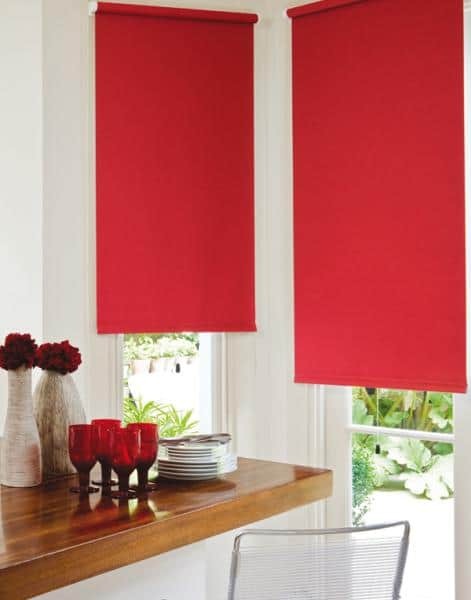 The perfect solution is reflective type roller blinds, made of dense fabrics. 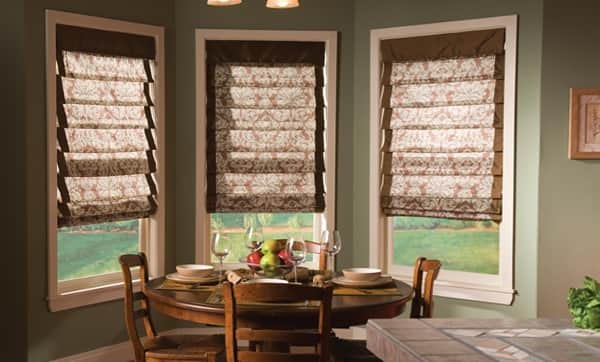 You can use them both in combination with other curtains, or singly. 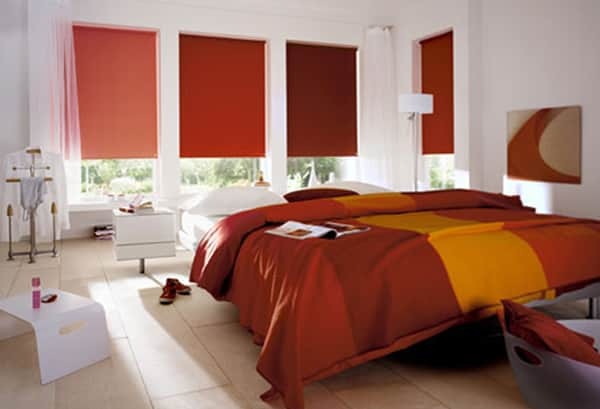 The most important thing is to pick them up in the tone and the mood that characterizes the general spirit of the bedroom, so that they harmoniously dissolve in the common space and concentrate entirely on their function, rather than playing the role of a bright accent. 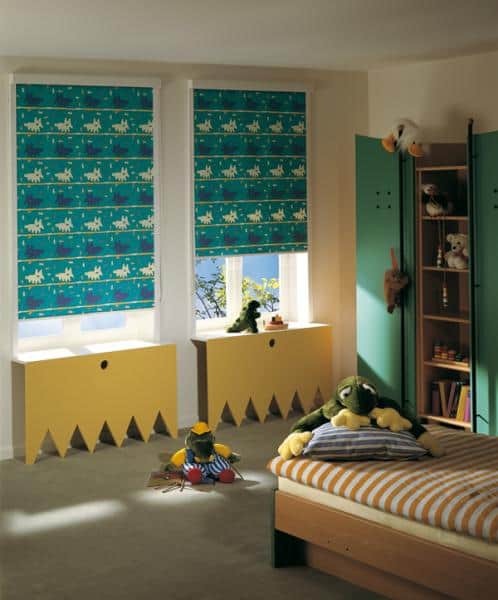 When choosing roller blinds in the children’s rooms, it is worth paying special attention to the retro-reflective models and models of the “day-night” type. 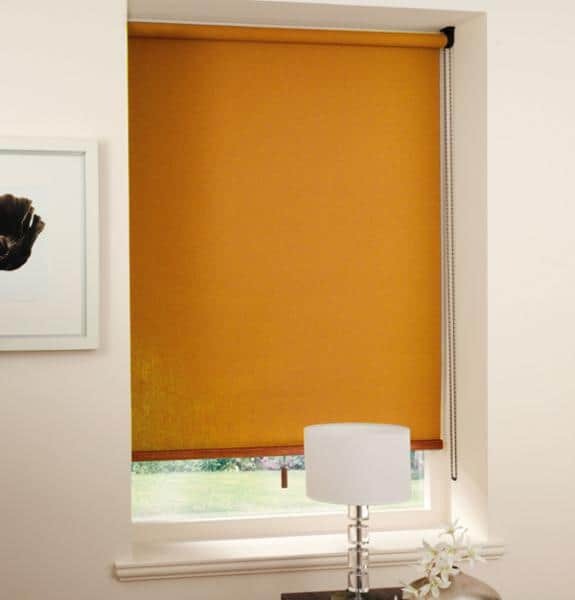 The first will make sure that your child’s sensitive sleep is not disturbed by the lights from passing cars, street lamps or the sunrise. 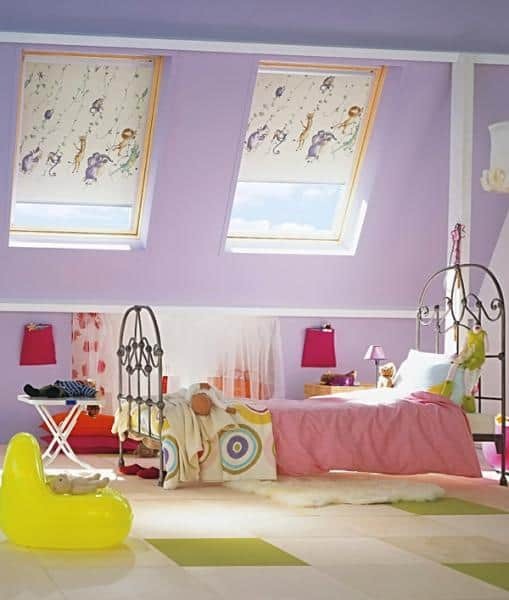 In the daytime, curtains can be lifted to the required height in order to let as much light as required into the nursery. 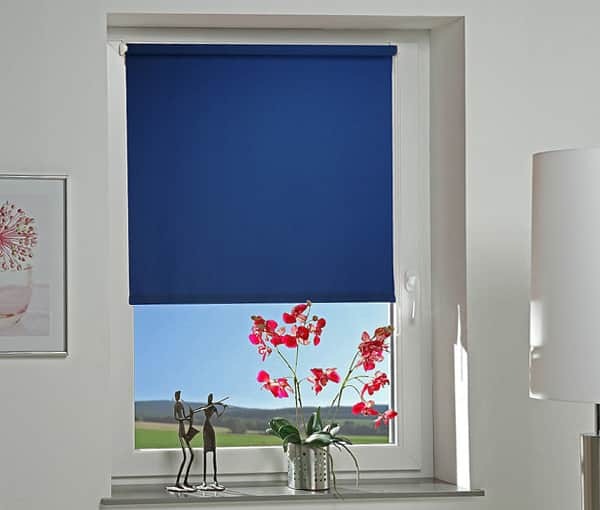 The second type, thanks to its design, easily allows you to adjust the level of natural light – from full openness to full blackout. 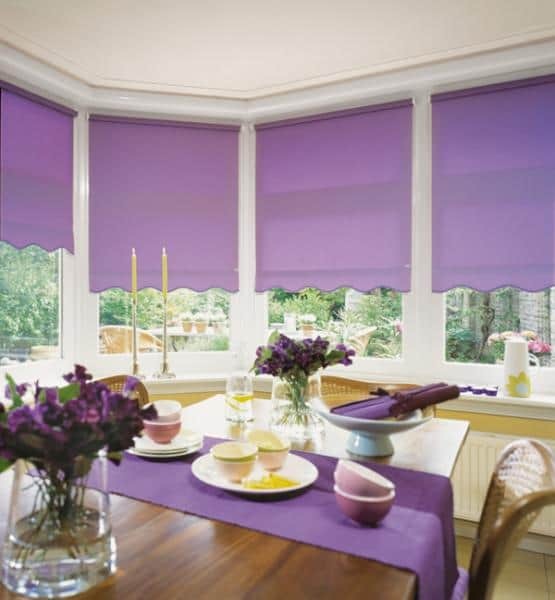 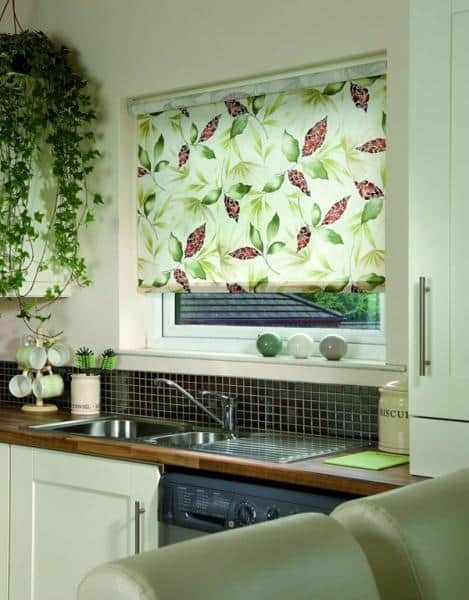 It is extremely important to use roller blinds in the kitchen . 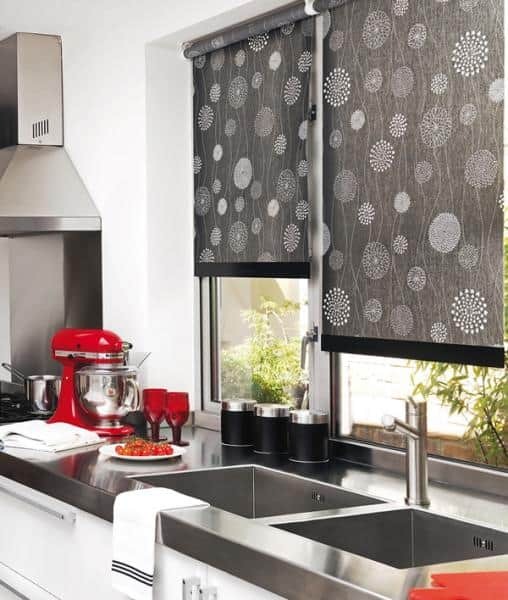 A variety of fabrics with water-repellent impregnation will allow you to choose roller blinds for a kitchen of any style and any color. 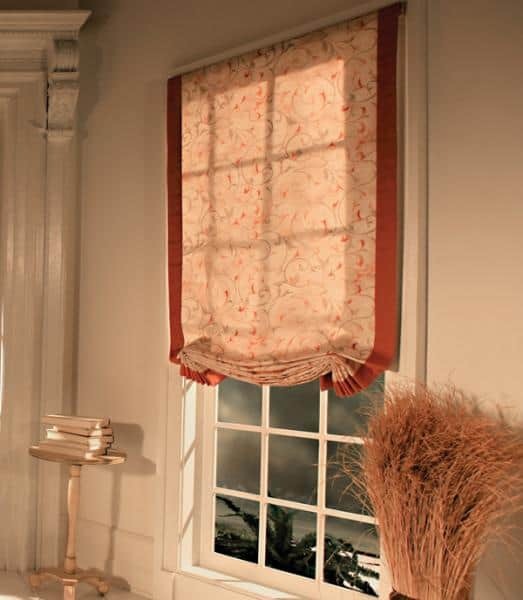 With regard to material and length, the best solution will be light-scattering curtains of medium length. 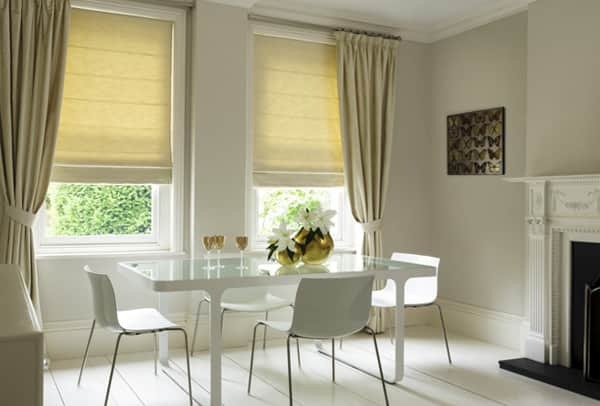 Roller blinds are certainly fit by themselves and are able to fully cope with all the requirements imposed by conventional curtains. 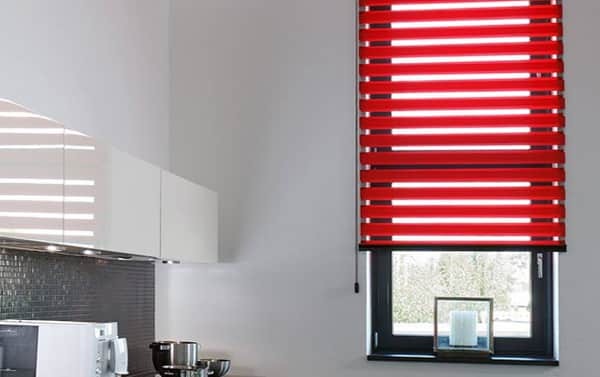 However, when making the interior of an apartment or a room, we do not always operate only within the categories of practicality and expediency. 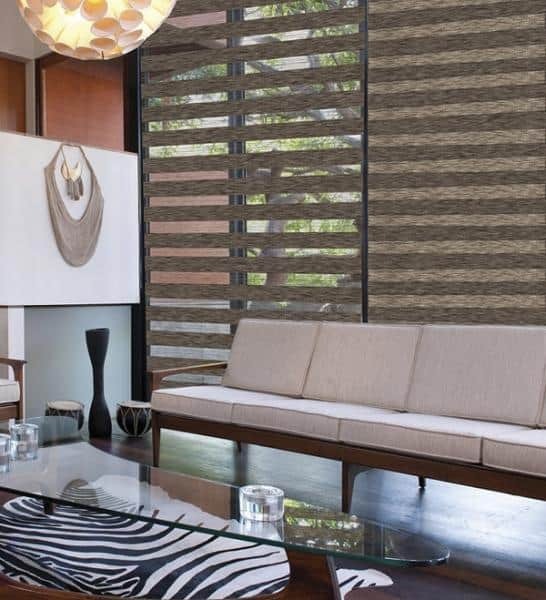 Interior design – not only practicality, but also art, and therefore the search for interesting interior solutions is always relevant. 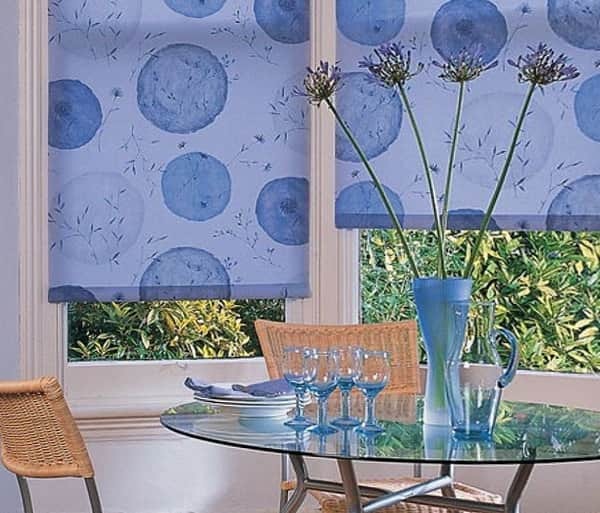 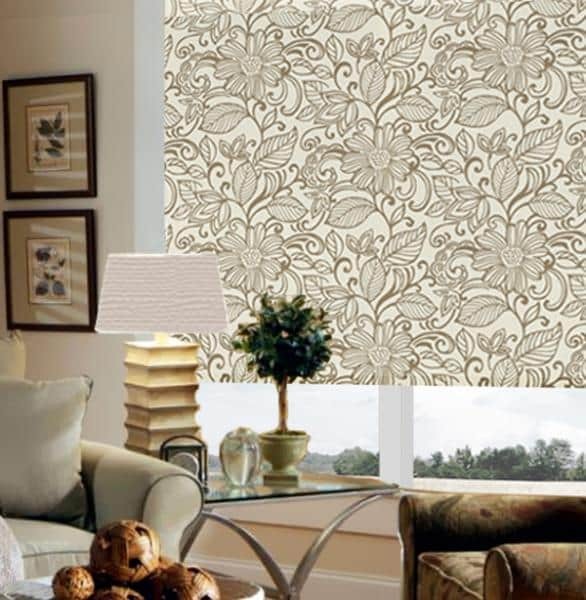 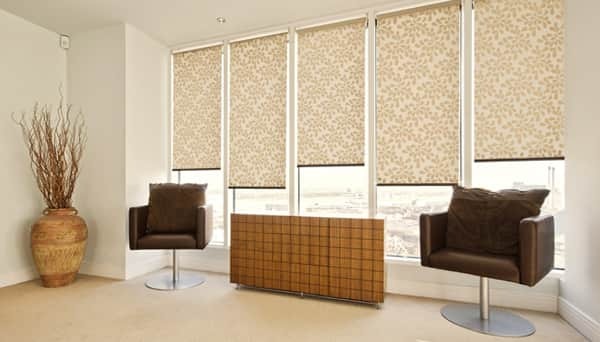 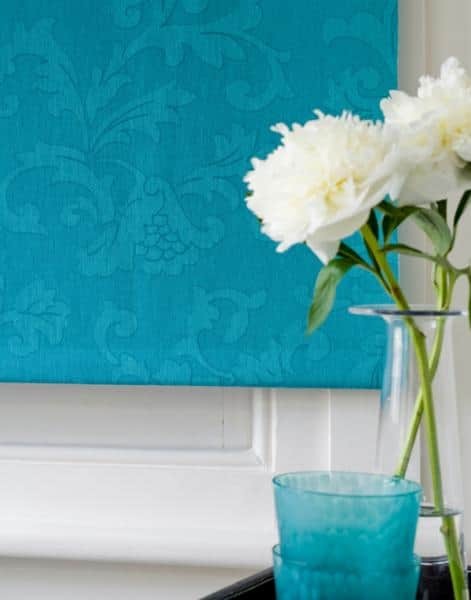 The combination of roller blinds with usual curtains is appropriate in any room. 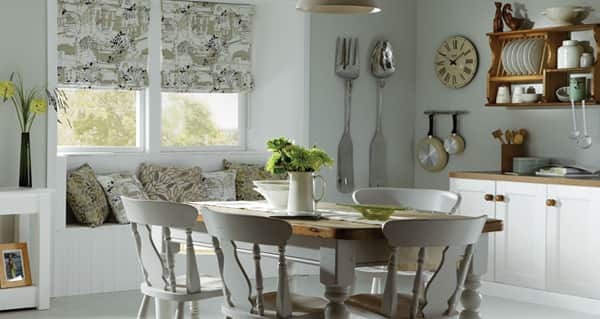 The only exception is the kitchen, the practical spirit of which still prevails over the interior delights. 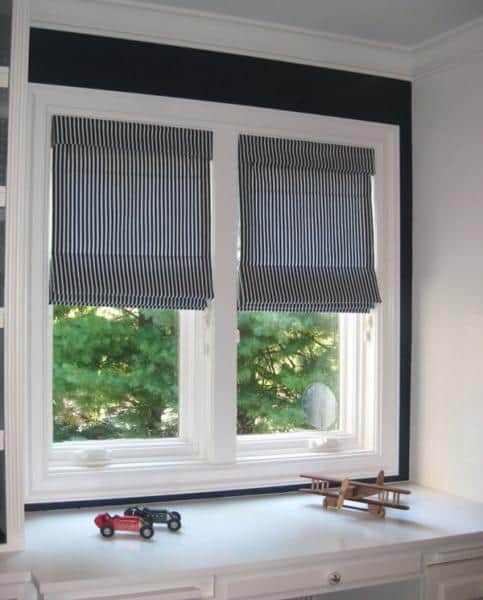 DIY Roller Blinds? 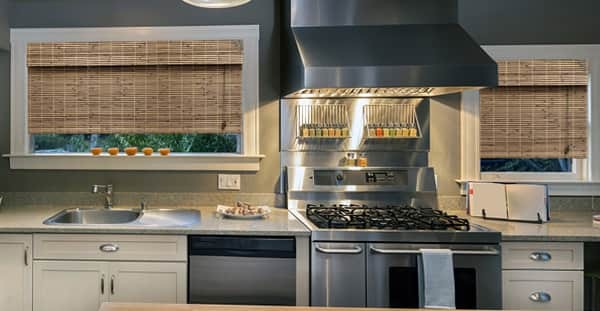 As easy as pie! 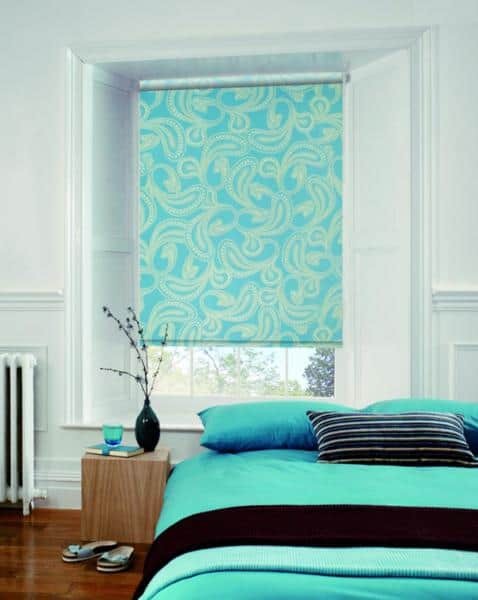 Recently, handmade products have become increasingly popular as well. 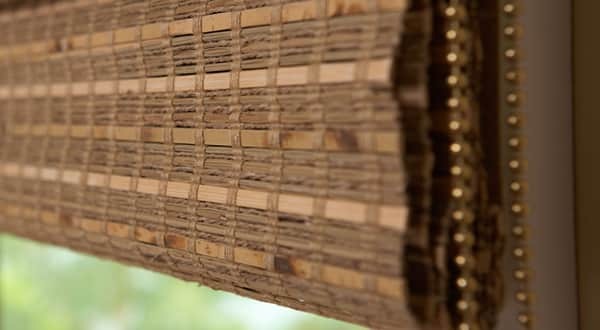 At the same time, the main factor behind this trend is not the desire to save money or the considerably high prices of finished products, but rather the desire to create something truly unique with your own hands. 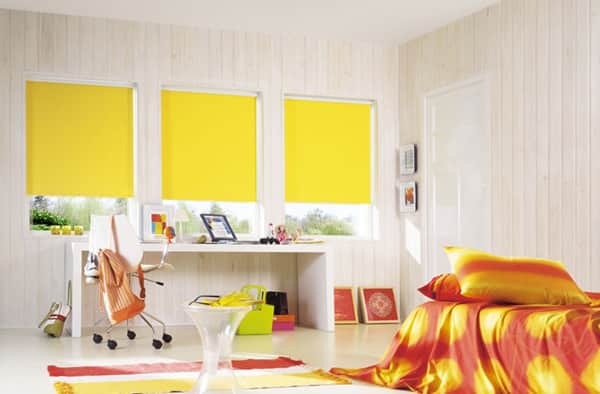 The internet can offer you a lot of options for creating roller blinds by yourself, from which you are free to choose. 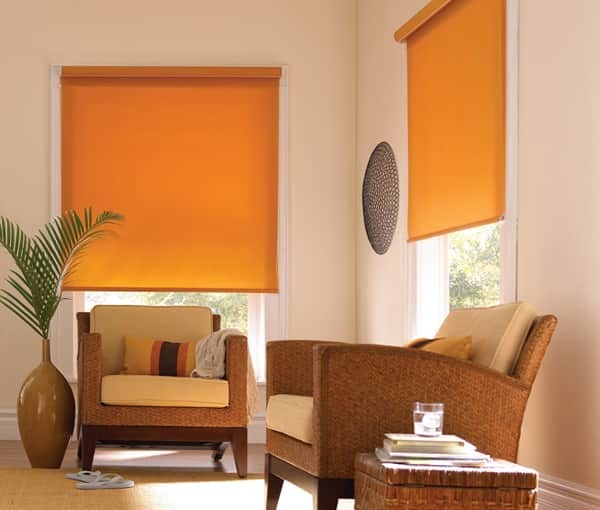 We, in turn, also offer you a step-by-step guide to one of the options for the creation of roller blinds. 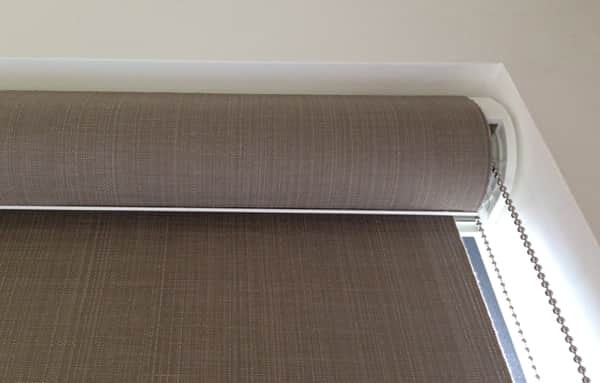 The fabric must be cut, according to preliminary calculations.The opened cloths are applied face-to-face and sewed on both sides along the length, and on one side – on the width. 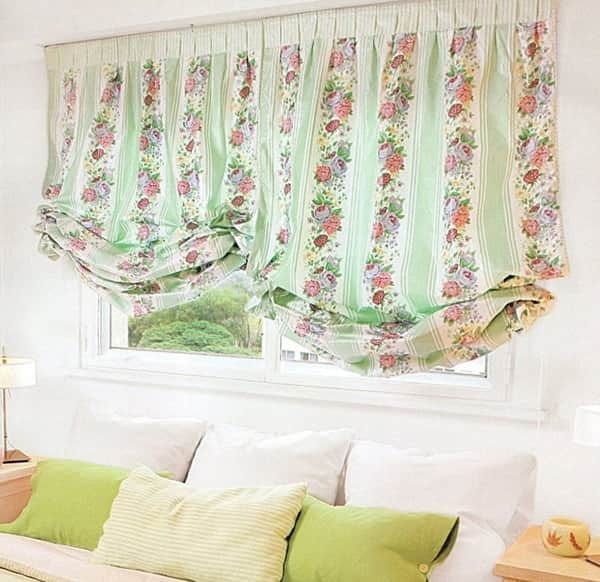 After that, the curtain is turned to the front side. 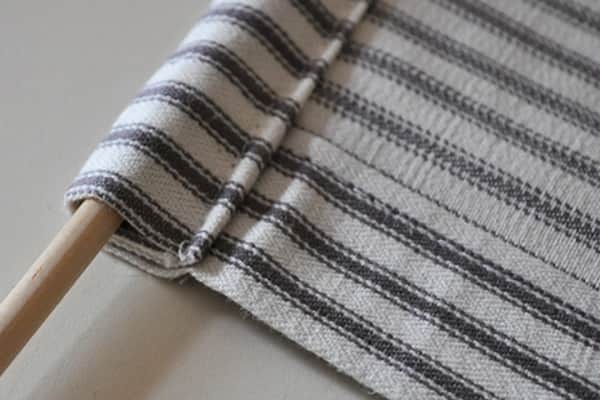 The next step is fixing of the weighting agent.It can be sewed into a separate pocket, or placed inside the workpiece, stitching the workpiece a little higher and then sewing the workpiece on the fourth side. 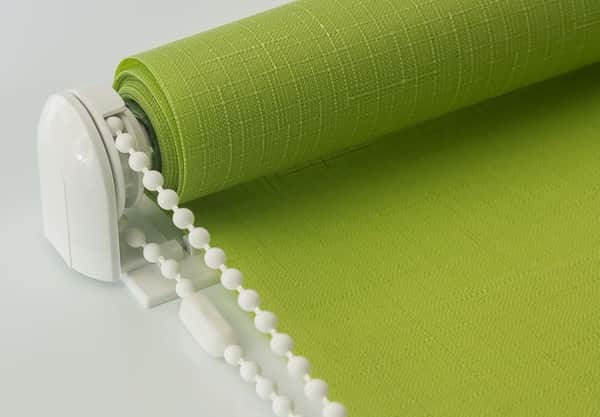 After sewing the weighting agent, it is necessary to properly iron the cloth, and then wrap the curtain around the bar and fix it with a furniture stapler.Also, you need to fix the cords for adjustment – they should be positioned so that the ends are longer than the curtain itself. 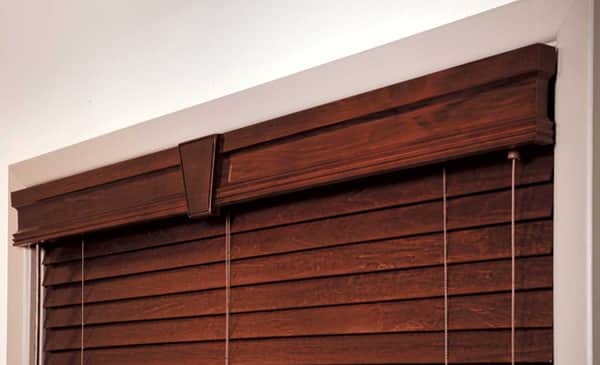 The bar is fixed to the frame or above the window opening, and you’re done!